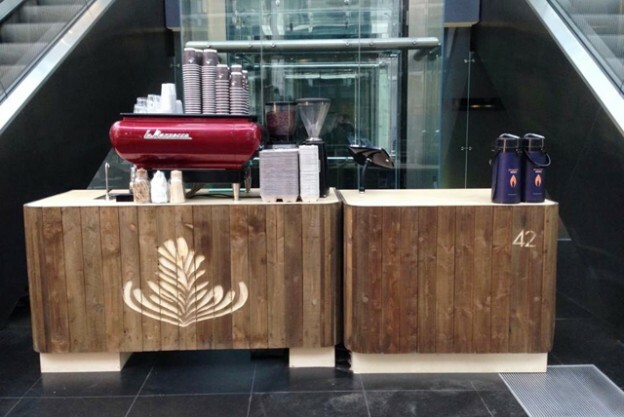 It cannot have escaped the notice of anyone who uses the front entrance of Tower 42 that since 7th April a new coffee shop has popped up between the escalators. Taylor Street Baristas http://www.taylor-st.com/ will be here for 3 months and have already proved themselves indispensable to a large population. This entry was posted in Uncategorized on May 8, 2014 by sh6yw.